Application Due Date: October 1st 2018. Are you an ambitious female trainee leader? 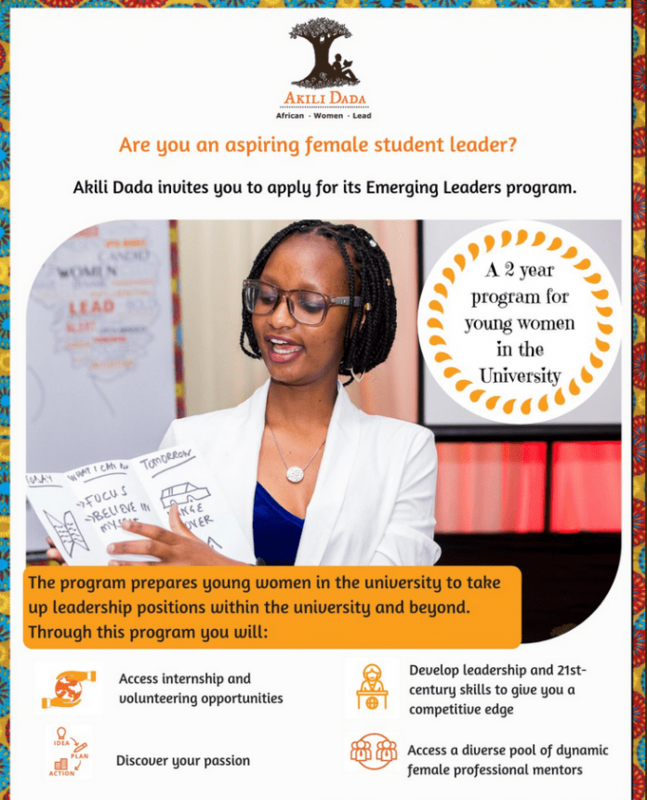 Akili Dada welcomes girls in Chuka, Maseno and Pwani Universities to obtain its Emerging Leaders program. The program is created to prepare College student for management within their schools and beyond. Candidates should be 18-30 years of ages. Candidates should remain in their 1st or Second year of research study at the time of sending the application. Candidates should have a strong interest in contending for management positions within their university.